Up for sale is a 2015 Transformers Mega Optimus Prime. It’s brand new and never removed from package. As you seen in the pictures, this is how the item came in when I bought it on Amazon. Picture 3 shows how it looks when transformed. This a must for all Transformers fans. Any questions feel free to email me. Please check out my other listings. Please bid with confidence. 100% feedback. I always pack securely and combine shipping available. Brand new from adult collection. Unopened, factory sealed and well cared for. Hello everyone! Would be great to add to your TF collection so grab it now! Combiner Wars. Condition is Used. 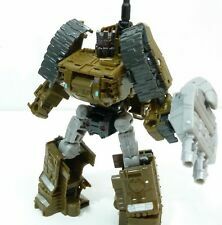 Note:This is the main Character used to form Bruticus. All of the major websites and identification books break down the toys this way and so do I. Note: Does not include SDCC Sticker. SDCC 2015 - Exclusive - Devastator - Giftset. We Are Your Source for Collectible Toys! Obi-Wan Kenobi #10. Clone Trooper #14. Note:This is the main Character used to form Superion. All of the major websites and identification books break down the toys this way and so do I.
Mazinger Z, known briefly as Tranzor Z in the United States, is a Japanese super robot manga series written and illustrated by Go Nagai. The first manga version was serialized in Shueisha's Weekly Shōnen Jump from October 1972 to August 1973, and it later continued in Kodansha TV Magazine from October 1973 to September 1974. 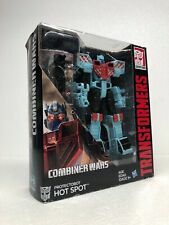 Transformers Combiner Hunters Gift Pack Arcee Chromia Etc MIB 100% Comp. I am selling my Transformer's collection. I have had them stored in a smoke free and temperature / climate controlled environment since purchased. Please let us know if you have any questions as there are no returns. If there is an issue with the packaging and / or boxing, I will make sure to list it in the description. All sales are final. Transformers TFCC EXCLUSIVE - Nightbeat - MIB and Complete! Transformers The Loyal Subjects SUNSTREAKER, Wave 3 CHASE Action Vinyl, MIP/New. Condition is New. Shipped with USPS First Class Package. No paint dents that I can see, no broken parts that I can see. Used condition. Adult kept in a smoke free environment out of the sunlight and has been kept in a cool dry storage unit since it was originally released. This Fans Toys FT-05 Soar aka Swoop his extra metallic grey wings and clear beak were extra accessory parts that came with my original swoop from Fans Toys but for years now they've been just sitting in the original box and sitting in my storage unit. So if your Swoop is either missing these accessory parts or maybe yours didn't come with these extras. Wings and Beak have light wear and scuff marks as is condition. Everything shown in the pictures comes with this parts lot except for the ruler. More pictures upon request just ask or if you have any questions just ask! We are buying! Instructions included: yes. This listing is for the item pictured. It is brand new and sealed. No Issues. Box Has Wear.